as the Paris of Asia. Wide boulevards and tree-lined streets are populated with cozy cafes and architectural marvels. To understand the Vietnamese perspectives on the Vietnam War, a day spent at the Reunification Palace (supposedly it is exactly the same as it was when it fell to the North Vietnamese) and the War Remnants Museum. In 2008, the city opened the massive Dai Nam Tourist Park, where tourists and locals alike spend time at the temple, zoo, hotels, and restaurants. If the day isn’t stifling, shoppers will be in bargaining paradise at Ben Thanh Market. Finally, be sure to try some authentic Vietnamese coffee (Vietnam is the one of the top five exporters). The Cu Chi Tunnels, outside of Ho Chi Minh City, are the most popular day trip from the city. residents are used to a little tropical downpour, so everything stays open and the city keeps moving, but the streets can flood and transportation becomes tricky. The dry season from December to April is a much better bet, and if you time your trip right, you can participate in Tet (Vietnamese New Year) celebrations, which take place in late January/early February and fill the city streets with color and energy. The more I get to explore this city, the more it starts to fascinate me. Interesting mix of old and new worlds, food and culture. 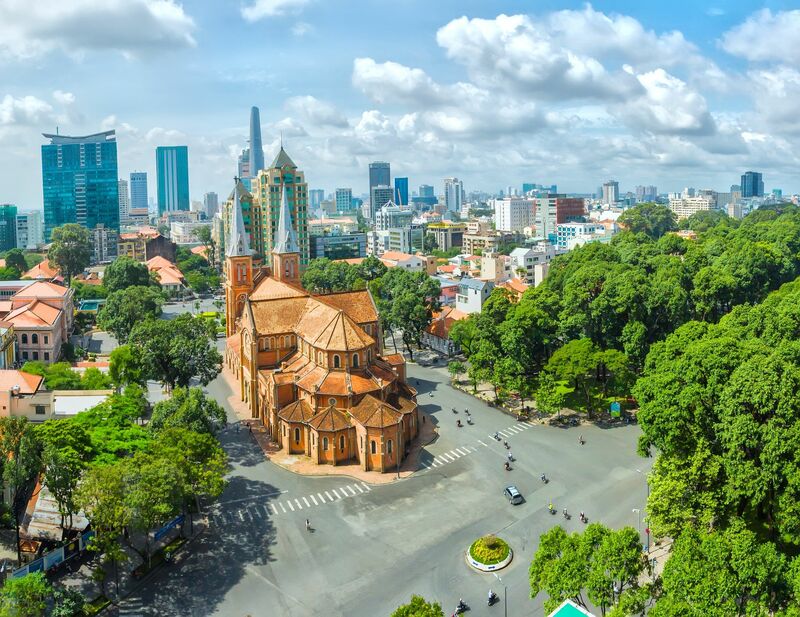 Ho Chi Minh is one the most enjoyable cities in South East Asia, with a nice climate and a great mix of old and new. Checking out the Notre Dame Cathedral, Ben Thanh Market, Saigon Central Post Office, and street food from vendors is a must! Ho Chi Minh City aka Saigon is the most populated city in Vietnam. It's an affordable city to visit if you're an American. There's plenty of delicious food to eat, places of interest, and warm weather the majority of the year. Shopping can be found just about everywhere and it's worth it to visit the Mekong Delta.